At 17, Dan Crawford was introduced to the world of the theatre by Robert Ludlam and never turned back. In 1970 he founded The King’s Head Theatre, London’s first pub theatre since the days of Shakespeare and the first dinner theatre in the UK. Over the years, the King’s Head has faced financial troubles, architectural disasters, and imminent closure, but through it all Dan kept this truly amazing theatre alive. Not only has he nurtured and developed one of the most outstanding theatres in the country, he has sought out and encouraged some of the greatest theatrical talents of the last thirty years. 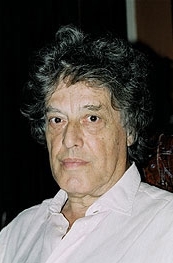 The actors whose careers were promoted, launched (or re-launched) at the King’s Head range from such theatrical luminaries as Kenneth Branagh, Steven Berkoff and Ben Kingsley, to popular stars Hugh Grant, Richard E Grant, Alan Rickman and Joanna Lumley, and comedians Lily Savage, Ruby Wax and Mel Smith. The writers whose work has been showcased at the King’s Head include such great playwrights as Brian Friel, Patrick Marber and Tom Stoppard. The King’s Head also has the largest and most successful training programme for young directors in the UK. Dan Crawford is as well-known and well-loved throughout the industry as the people whose careers he has developed: the colourful, eccentric, energetic theatrical maverick whose personality is as big as the theatre itself. Dragonfly Films in association with XI Pictures has created a documentary profiling the theatrical legend that is Dan Crawford and the King’s Head Theatre. It offers an intimate, insider’s view of the operation of this treasured, unorthodox theatre and the colourful character at its forefront. The King’s Head: A Maverick in London follows Dan as he casts, rehearses and mounts a production of Michael Wall’s Women Laughing. Amidst disasters with other shows, actresses falling sick and actors throwing tantrums, Dan’s remarkable strength of character, sense of humour, and courage under fire emerge. Simultaneously, The King’s Head: A Maverick in London offers a whirlwind tour of the history of the theatre through a series of interviews with the artists and writers who have contributed to its success in the past. The contributions are by turns hilarious, moving and inspiring. Between the many interviewees, the documentary weaves a tapestry which colours in the fascinating history of a theatre kept alive by the sheer willpower and determination of its extraordinary Artistic Director. The documentary proposal has been enthusiastically welcomed by Dan and the team at the King’s Head, who are eager to see the theatre fully profiled and celebrated on film. For writer/producer/director Stephanie Sinclaire of Dragonfly Films, the documentary will mark twenty years’ commitment to, and support of, Dan and the theatre, where she is also Associate Artistic Director. Stephanie and Dan were co-recipients, on behalf of the King’s Head, of the Queen’s Jubilee Award for contribution to the arts and pursuit of excellence in the field of directing in 2002, presented by the Queen and Lord Richard Attenborough. 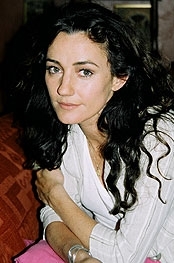 Stephanie’s first film, The Dance of Shiva, featured Kenneth Branagh and was an Oscar finalist in 2000. In 2003, she wrote, directed and produced a short adaptation of Edgar Allan Poe’s The Tell-Tale Heart with a team which included Director of Photography Jack Cardiff, Production Designer Peter Murton, and Co-Producer Nigel Wooll. She has several feature films in development, including Silence Becomes You, starring Thora Birch and Christopher Lee. Stephanie and Dragonfly Films are supported by XI Productions, the production company of Jason and Jonathan Figgis and Uri Geller, the brilliant filmmakers behind The Twilight Hour. This documentary has garnered international critical acclaim, including an IFTA nomination, and has been sold to 100 countries around the world. They are currently shooting a feature film starring Colin Farrell and Keith Duffy and featuring Samantha Mumba and Steven Berkoff. Jason brings his superb vision to The King’s Head: A Maverick In London as the documentary’s co-director. Executive producer Ann Pinnington’s theatrical career includes her phenomenal achievement as an independent producer at Portman Theatrical Productions, where she was responsible for 64 Number One tours. She was a director of Theatre Royal Bath Presentations, and with Andy Jordan coordinated The Play’s The Thing, a festival of new writing. Among her many highly acclaimed productions was Macbeth at the Riverside Theatre, scored by Brian May. Fifteen years ago, Dan invited Ann to become Associate Artistic Director, and she has worked closely with both Dan and Stephanie ever since. The documentary holds appeal not only for a traditional ‘arts’ audience as a celebration of the theatre, but for a wider range of viewers because of the well-known faces of the interviewees and the uplifting style and tone of the film. The film is appropriate for pre-watershed scheduling and contains no offensive material. The film tells a ‘Rocky’-style tale of Dan Crawford’s triumph over adversity, and will capture the eccentricity and originality of this unique internationally-celebrated theatrical landmark. As well as the theatre, we will also be filming in the perfectly-preserved Victorian pub, with its clientele worthy of Bosch and its staff more theatrical than the theatre. The documentary has an educational element as we follow the creation of a play, but will be characterised by the fast-paced, roller-coaster ride of humour and fun which pervade the theatre, where nail-biting anxiety one moment is replaced by exuberant success the next. The documentary is being made with a view both to international television and to festival and theatrical release. Above all, the film is an uplifting celebration of one man’s unfailing vision, and the personal sacrifices and outstanding achievement which that vision has engendered.